Devon Alexander (20-0, 13 KO’s) put on a brilliant boxing exhibition before stopping Juan Urango (22-3-1, 17 KO’s) in the eighth round. 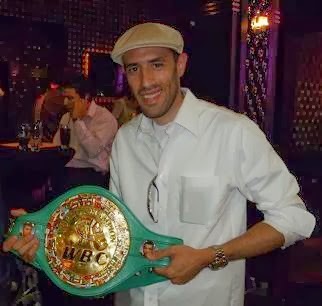 Alexander, who won a vacant WBC junior welterweight title by previously defeating Junior Witter, added the IBF junior welterweight title to his collection with the victory. Until last night, no fighter has ever been able to stop the durable and aggressive Urango. In the first round, Alexander landed punches off his right jab, and used a lot lateral movement to frustrate Urango. He caught Urango with a sharp, right uppercut, which proved to be a punch that Urango would have problems with all night. Early on, Alexander established his range and remained elusive throughout the fight. Alexander repeatedly threw combinations off his right jab and kept circling. Urango put pressure on Alexander, but was unable to hit him flush most of the fight. Urango only landed clean punches when Alexander stopped moving. Again, Alexander connected with a right uppercut to Urango’s head in round two. In the third round, Urango pressed forward, but without using an effective right jab. As a result, Urango suffered a cut above his left eye from Alexander continually beating him to the punch. The fourth round was a better round for Urango because he let his hands go more. However, Alexander was still dictating the pace. Alexander did not jab much in round five, but utilized it effectively again in round six. He was able to hit Urango with some straight lefts behind the jab. Yet, Urango was having a good round when Alexander traded shots with him. Urango successfully landed his right hooks and straight lefts when he threw a barrage of punches. In round seven, Urango started to close the distance between them. Still, Alexander was controlling the round by landing a series of right hooks, right uppercuts and straight lefts. Urango could not match the hand speed of Alexander, although he was more competitive when Alexander momentarily stopped jabbing and moving. Then, Urango had the opportunity to land some solid punches. Alexander floored and seriously hurt Urango in the eighth round, when he connected with a right jab-straight left-right uppercut combination. Urango was attempting to strike Alexander with a right hook, but Alexander’s blistering right uppercut reached the target quicker. A dazed Urango got back to his feet, only to find Alexander on the attack. Alexander fired another right uppercut, and followed it with a straight left-right hook combination. Urango went down again. This time when Urango got back up, referee Benjy Esteves stopped the bout. 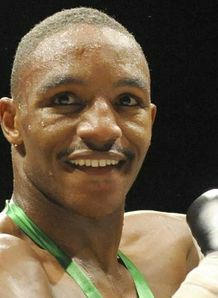 Alexander’s next opponent may be Zab Judah or Timothy Bradley. Previously, Judah knocked out Cory Spinks, who like Alexander is from St. Louis, Missouri, back in 2005. Bradley is regarded by many as the best at 140 lbs., and holds the WBO junior welterweight title. Alexander has never been knocked off his feet during training, in the amateurs or as a professional.